Siegfried “Wumm” Lemke was born on 7 April 1921 at Schievelbein in Pommern. Lemke was posted to JG 2, based on the Channel front, in the autumn of 1942. Unteroffizier Lemke was assigned to 1./JG 2. He claimed his first victory when he shot down a RAF Spitfire fighter near Fécamp on 12 March 1943. 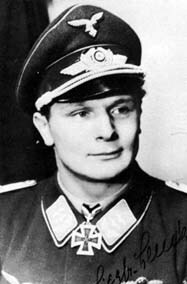 On 12 September 1943, he became a Staffelführer in 1./JG 2. In late January 1944, I./JG 2 was transferred to the south of France to counter 15th Air Force, USAAF bombing raids in the area. On 9 February, Lemke shot down four Spitfires southeast of Cannes to record his 16th through 19th vicotories. Shortly afterwards, I./JG 2 was moved again to counter the Allied landings at Anzio. Lemke was very successful in March, claiming 16 victories. 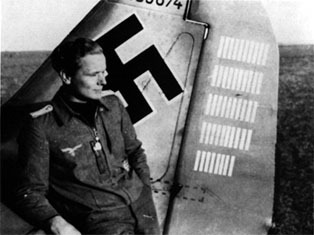 48 victories are displayed on the rudder of Siegfried Lemke`s Fw 190A. By early May 1944, I./JG 2 was based at Creil, north of Paris. Lemke was much involved in the air battles over the Allied landings in Normandy. On 7 June, he claimed three Allied fighters shot down over the beachhead area (41-43).  Leutnant Lemke was awarded the Ritterkreuz for 47 victories on 14 June 1944. Lemke was appointed Gruppenkommandeur of III./JG 2 on 23 June 1944, following the death of Hauptmann Josef Wurmheller (102 victories, RK-EL) in action the previous day. He led this Gruppe until war's end. By the end of 1944, he had about 60 victories to his credit. He was nominated for the award of the Eichenlaub but never received the award. Siegfried Lemke flew 325 combat missions and ultimately reached 70 victories, including 25 Spitfires, eight P-47s, six P-51s and at least 5 four-engine bombers. Some sources have credited Lemke with a victory total of 96 enemy aircraft including 21 four-engine bombers.